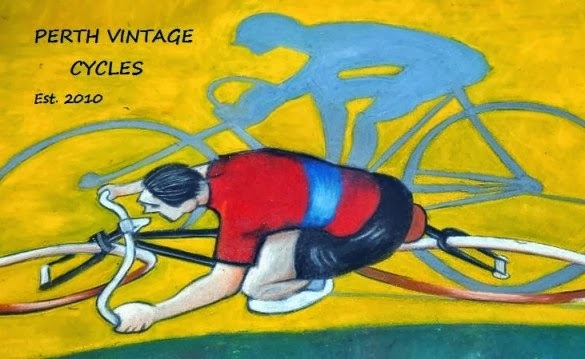 Riding a quality vintage bicycle with modern cycling shoes just doesn't feel right! I've been looking for a good pair of leather vintage cycling shoes for some time and haven't been able to find anything my size. I have an average shoe size (EU43) and I've found that it's very hard to locate an original vintage pair of leather cycling shoes in this size . Being a common and popular size I can only imagine that they have all disappeared over time. I have been able to locate the type of shoe I desire but only in smaller unusual sizes. 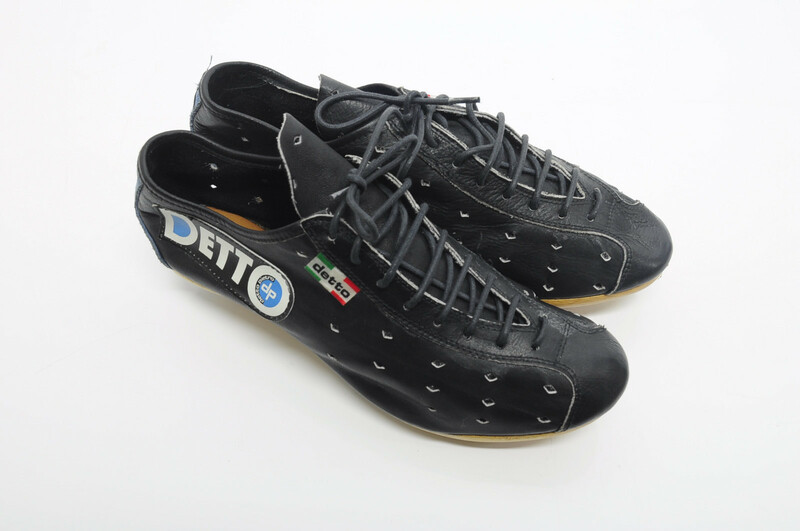 Wouldn't you love to own a nice new pair of quality Italian made Detto Pietro shoes like the ones pictured below? Unfortunately they are very hard to find, and if you do locate a pair they are very expensive! In lieu of an original pair of vintage cycling shoes I've been on the hunt for a pair of new 'vintage styled' shoes. There are a few on the market so I've put together some images of the ones that can be purchased brand new. I've chosen to concentrate on shoes that have SPD cleats. I favour this type of cleat because all of my bikes have SPD pedals, but most of the styles shown here can also be purchased for use with regular road cleats. 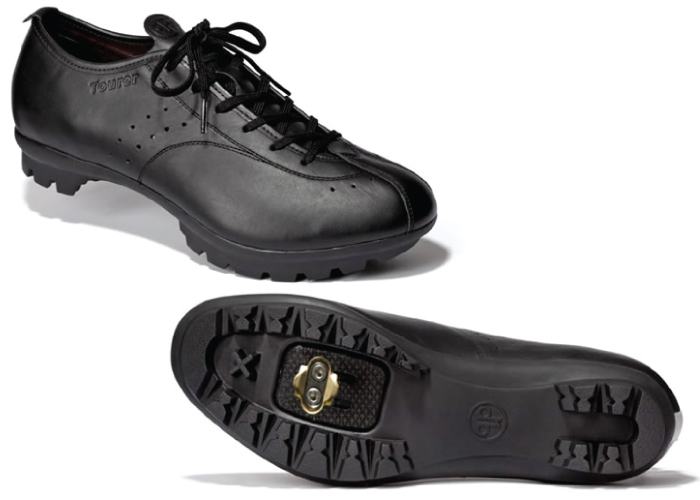 Some of the styles even come with a flat cleatless sole for use by riders who prefer to ride without being clipped in. Italian made Vittoria shoes make a great range of vintage styled cycling shoes. Their popular vintage models are called the Vittoria 1976 range (line 1976). 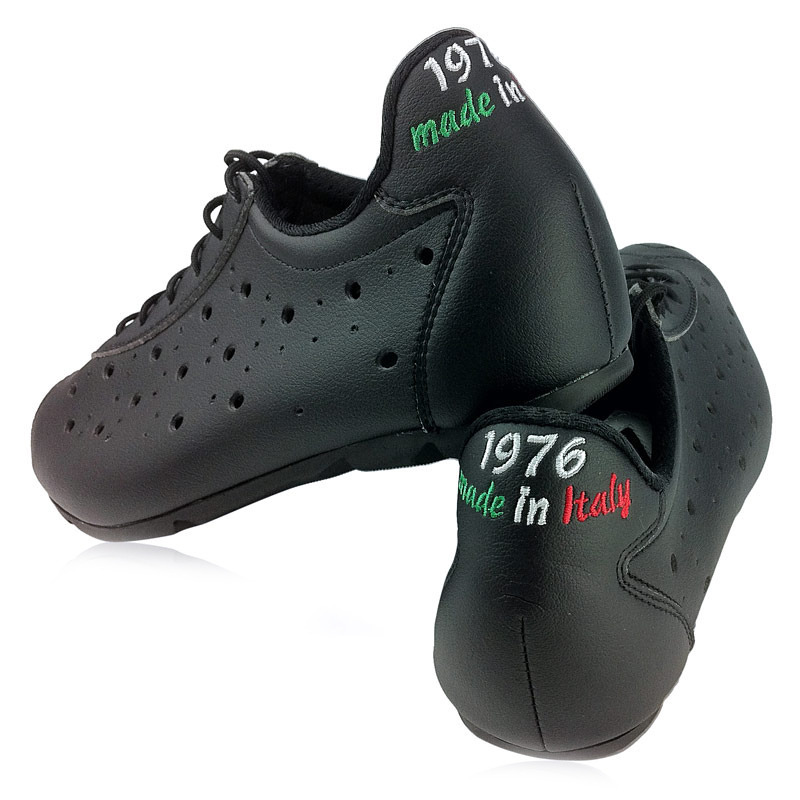 The Vittoria line come in a range of styles with most models being leather, some being suede. They have the usual quality and style you would expect from an Italian brand, and most styles are available in a variety of colours too. Another good quality brand is Dromarti. 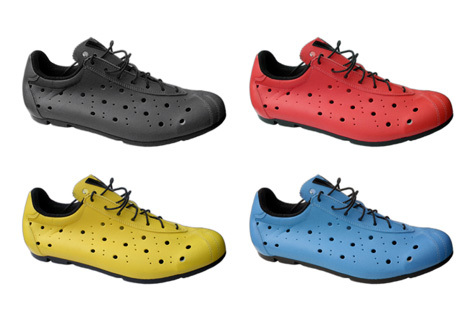 Dromarti cycling shoes are manufactured in the UK and are probably the pick of the bunch. I have never seen or felt a pair, but all of the reviews I've read have only been positive. It appears that they make limited numbers and there is usually a waiting list for most styles and models. The ones pictured below are from the Sportivo range. Quoc Pham cycling shoes are made in Taiwan. 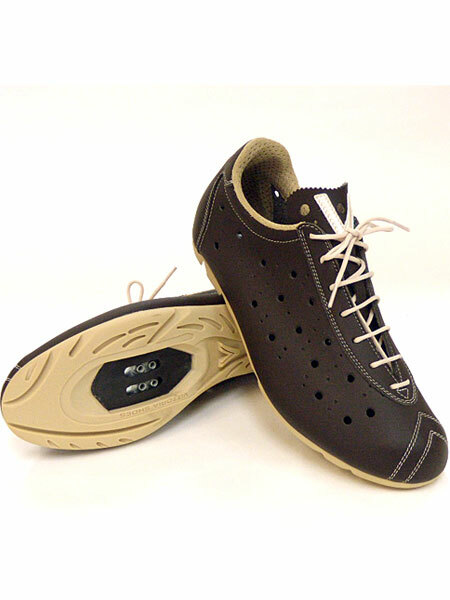 They are a solid leather cycling shoe of very good quality. The 'Tourer' model in black and brown is featured here. This brand is very conservative and is available in limited styles and options. They are only available with an SPD cleat recess, or a smooth sole. There are no models that support road cleats. 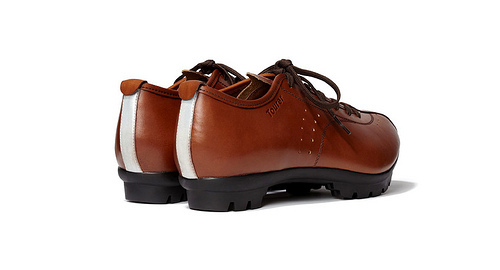 I do like the addition of a reflective safety strip on the back of their shoes that runs vertically up the heel as shown on the brown pair below - very stylish. 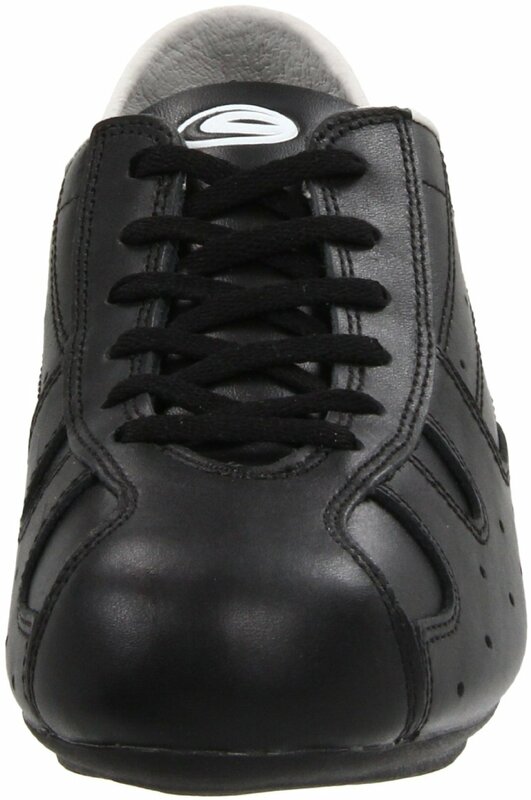 The vintage styled cycling shoe that is most affordable is one from the brand Exustar. 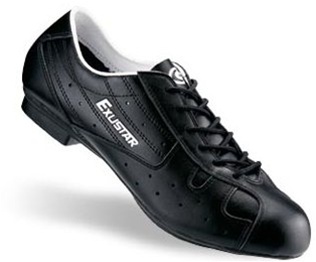 Like Vittoria, Exustar make a large range of cycling shoes that cover all disciplines of the sport. Exustar products are made in Taiwan and, unlike all of the other brands featured here, Exustar also make motorcycle shoes and apparel. 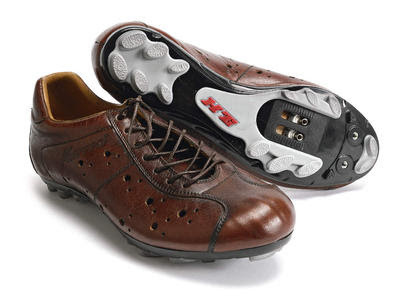 Exustar make a new 'vintage styled' cycling shoe called the STR-707 pictured below. This is a classic shoe more reminiscent of the vintage period. I have recently bought myself a pair of these shoes and although I've ridden them for 200-300 kms I'm just breaking them in. They are very comfortable and fit like a glove. 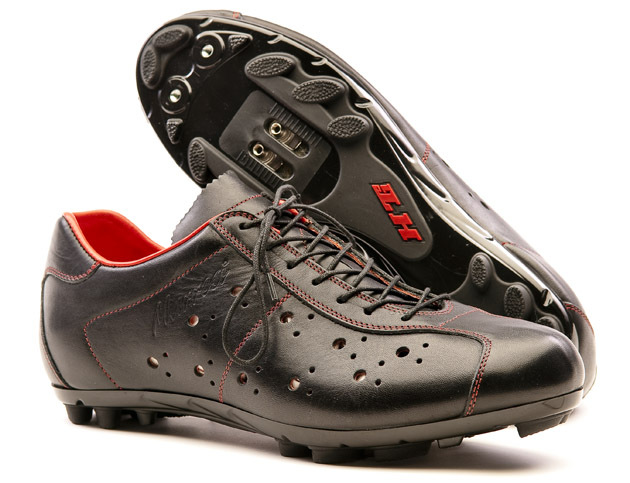 The SPD cleats are recessed far enough into the sole that it is easy to walk with these shoes when off the bike. Going into a cafe to get a coffee during a ride has never been so comfortable!! The shoes often attract the attention of other cyclists when I'm out for a ride, after all it is quite unusual to see cycling shoes with laces! Please let me know of any other brands that you think are worth mentioning. Hi Just bought a pair of Quoc Pham, flat sole to use with toe clips. Very nice pair of shoes. Thanks for your web page on this. A good starting point.